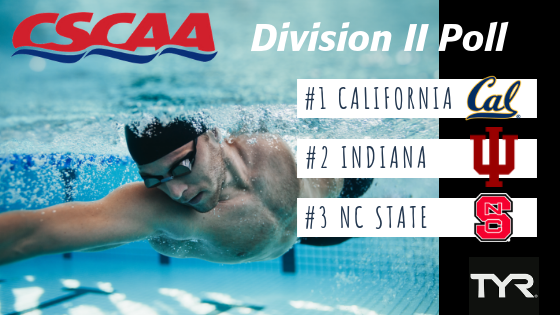 The College Swimming and Diving Coaches Association of America (CSCAA) have released the final men's TYR Top 25 Dual Meet Poll of the 2018-19 swimming and diving season. The California men held their spot at #1. The California men have proven themselves with wins over Southern California and Stanford in the past month. Indiana, NC State, Texas and Florida round out the top 5.